Supplied as a red and blue paid. 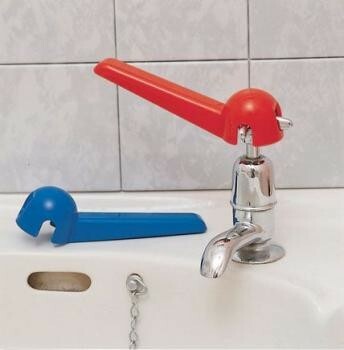 These tap turners simply fit over the toaps to make them easier to turn. Supplied as a red and blue paid.